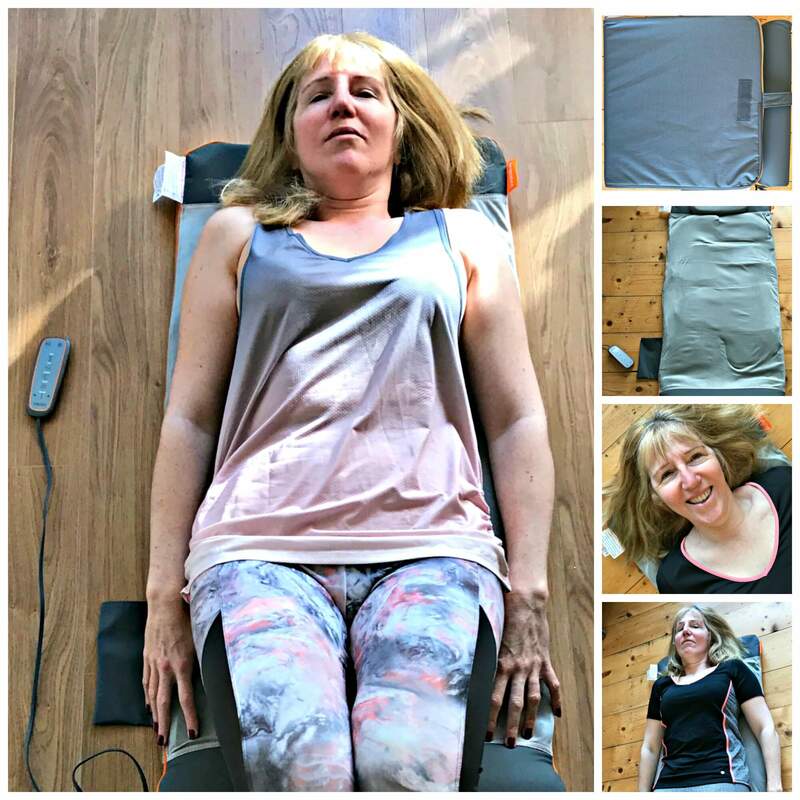 So, after 4 weeks of testing the HoMedics STRETCH mat, how did I get on? Will I continue to use the mat? Has my experience taught me anything? If you have read my previous two posts, you’ll know that I have had problems with my back on and off for a few years, probably because I had my kids by caesarian just 18 months apart. The fact that my lifestyle is way too sedentary is also a huge factor! My physio gave me a program of simple, Pilates-based exercises to mobilise and strengthen my back. He told me that back pain is actually helped by exercise. Bed rest is not the answer unless you really can’t move at all and you should not spend longer than 45 minutes sitting down. When you think of how long the average office worker remains seated, it’s really not surprising that so many of us have problems with back pain. Apart from the school run (walk! ), I do my weekly pilates class but the rest of the time I am sat in armchair blogging – and a rather broken down old armchair at that. Us 50 somethings are at that time in life when things start to twinge, ping and generally ache a bit and, to be frank, exercise is rapidly becoming a have to do for the comfort of our bodies, rather than something we know we ought to do. You’ll recall a male friend of mine recently confessed to a secret yoga habit and I wonder how many of us are gradually finding our way towards gentler, yet undeniably effective forms of exercise. Over the last four weeks, I have found that the HoMedics STRETCH mat has really helped with this. It puts you through a selection of yoga stretches without you having do much other than lie there and relax. In fact, it’s so simple to use there really is very little effort involved in giving your back the gentle workout it needs to make your body feel more comfortable throughout the day. Simple to set up, you unfold the mat, position the headrest and plug it in. You then select the exercise program you want to use that day using the handheld control. Of the 4 pre-programmed sequences, I particularly enjoyed “Flow” – a progressive flow of stretches which gently mobilises the whole length of the spine, and “Stretch”, an all-round treatment to which is a great adjustment after being seated for a long period of time. I mentioned in my last post that we all need to incorporate more stretching into our daily routine and there are 3 key benefits. It’s just that finding the time can often be a bit of a struggle. I found, though, that I was able to set up my STRETCH mat in minutes and hit the floor for a brief workout without much disruption to my working schedule. That is one of the luxuries of working from home, but the STRETCH mat is portable and you could always use it at work if you have the facilities or a spare meeting room that nobody uses. 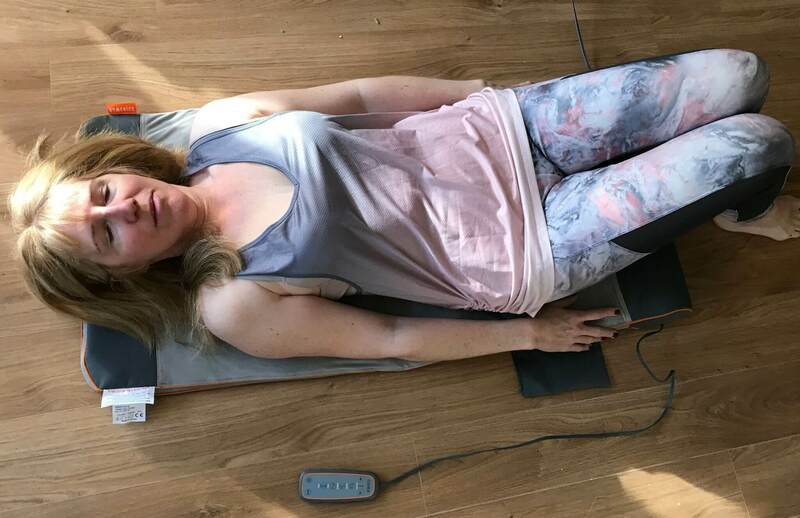 In fact, there are three keys times to use the mat – on rising, after long periods of sitting (for example at work) and to relax before you go to bed. We all know how important sleep is to our mental and physical wellbeing – sleep hygiene is as much a key health trend as maintaining our core strength and stability. A gentle stretching workout can really help you relax and you could even meditate or practise mindfulness while you use your mat. After using my STRETCH mat I definitely notice a decrease in tension and improved flexibility in my shoulders, hips and back. I feel ‘taller’, if that’s possible. You can repeat the treatments as often as feels good for you, but as with anything new, always start gently and build up your regime as your body becomes accustomed. Will I keep using my HoMedics STRETCH mat? Yes, I will. It’s such a simple way to incorporate some yoga moves into your day. I think one of the key benefits is that it makes you aware of how you are holding yourself and when you start to feel the tension in your lower back. I will, though, make sure I improve my health overall by reducing the amount of time I spend sitting and try to prioritise moving my body to avoid the ’50-something seize’. "This Christmas Be Your Best Body With Superdrug’s Some Body"
Okay, this is new to me, I’ve never heard of a stretching mat before. I think it’s something that I’d probably enjoy using. I always want to try yoga, but I just haven’t gotten there yet. Very informative post. Interesting idea and I know the Homedics brand as well,I actually bought a foot soaker from this company that was really nice. I need to stretch more. I sometimes have pain in my lower back and not sure where it comes from. A stretch mat would be great. My back is always hurting… I’ve tried to click it and it didn’t help. Maybe this mat will? This is such a great idea! I love it! Defintely something that is worth trying if it’ll ease my back pain.. Is the code valid throughout December? This sounds really good – I think my back would benefit from this massively.